Pick up a sweet Bunny + Duck Kit from Topozoo to decorate the family dinner table this Easter Sunday and then watch your kids have fun making bunny-duck combos all year long. This super cute duo is colorful, eco-friendly and simple to put together. The wooden and felt mix-and-match pieces that can be used to create hundreds of different animals if you also have another Topozoo set! Each animal is made from recycled, formaldehyde-free wood and finished with water-based, non-toxic stains. They’re packaged in a recycled cardboard box and are made in the USA. Wouldn’t these make a super fun activity to keep the children busy while Easter brunch is being served? Pick up a sweet Bunny + Duck Kit from Topozoo to decorate the family dinner table this Easter Sunday and then watch your kids have fun making bunny-duck combos all year long. This super cute duo is colorful, eco-friendly and simple to put together. 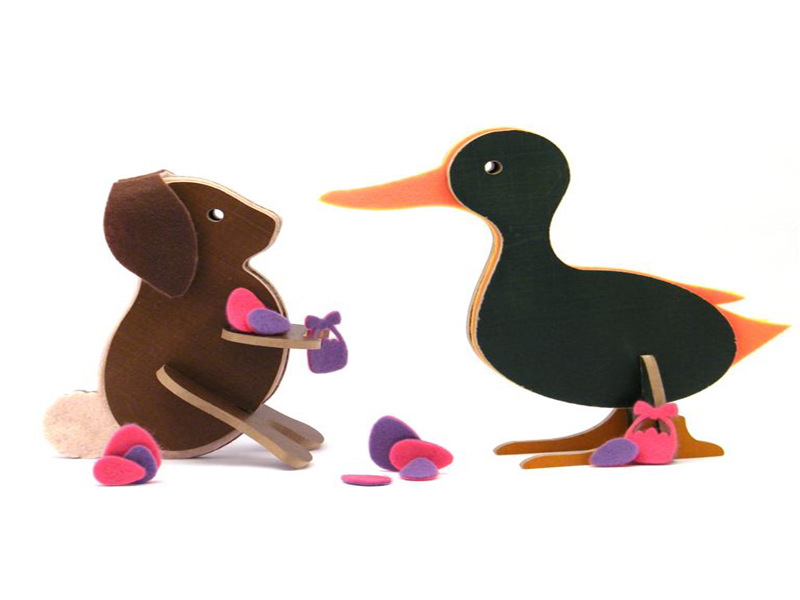 The wooden and felt mix-and-match pieces that can be used to create hundreds of different animals if you also have another Topozoo set! Each animal is made from recycled, formaldehyde-free wood and finished with water-based, non-toxic stains. They're packaged in a recycled cardboard box and are made in the USA. Wouldn't these make a super fun activity to keep the children busy while Easter brunch is being served?